Rated 5 out of 5 by unicornone from superb value I took me a full two days to play this game on the hardest mode possible, you have a choice of three and you will find game play to suit everyone in this game. Normally I can finish a game in a few hours, so it was excellent to find a challenging game. The mini play was not so difficult but game play is superb. The story will hold your interest, the graphics is very clear and the all round quality of the game is excellent. Very good value for money this one. I have no hesitation in recommending immediate purchase. Rated 5 out of 5 by Verita from My favorite My friend recommanded this game and I find it absolutely charming. The graphics, the story line, the mini-games are out of the ordinary and really enjoyable. I played the game in the medium mode and the difficulty was exactly right for me. Also, the variety of the mini-game is very wide and the HOS are not too frequent. Rated 5 out of 5 by kellyd1976 from Awesome game This is a great game. Not a lot of HOS. Mostly puzzles. There is a good mix of puzzles. I gave this game five stars because it has a great storyline. It's pretty long too. Hope you will enjoy it. Rated 5 out of 5 by Faith2grace from What a lovely game I truly loved this game. It is a sleeper so don't pass it up. It is more of an adventure game than HO. I like the adventure better so this was good for me. It has a map which lets to travel from one spot to another. The puzzles were not difficult and had some variety from the usual. The graphics were great. I play with the sound off so I don't know about the music. I great game with a good amount of challenge. Rated 5 out of 5 by ladiedidee from one of the longer games i really enjoyed this game. it was challenging. and well worth the money. Rated 5 out of 5 by Lao_Zi from A beautiful and challenging HOAG I have said it before and I say it again: people should not be allowed to send in reviews based on a demo. I had read all the bad reviews of this game and really hesitated to purchase it. But then again, I was intrigued, and having a free credit, I said to myself: "Why not? ", and oh my, how glad I am I did it, because this is a very good game. OK, the cutscenes are blurry, so what? I don't mind, as long as the graphics of the game are good, and these are GORGEOUS. Bright and saturated with colour, sharp and neat, detailed to the highest degree... yes, the graphics are absolutely fantastic. Yes, the game could do with VO's... their absence is a - minor - setback. On the other hand, the soundtrack is beautiful; nice, soothing background music which nevers annoys. Challengewise, the game has what it needs to keep your braincells at work. There are few HOS and they are easily doable. The puzzles are nice and innovative. Just try to figure out what it's all about, and if you can't figure it out for yourself, just hit the HELP button to get the necessary instructions. As for those critics who say that the active zones are too small, well, I don't know what they expect. Maybe they want active zones that stretch over 1 yard beyond the object? About the HINT button, well, I didn't even need any hints to keep me going through the game... just use your brains! So, what else? Well, nothing really ... HOS lovers and those who don't want to use their brains, should not buy this game. 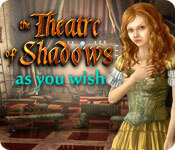 Adventure game lovers and those who are not afraid to train their brain cells, go for it! I have played over 400 games from BF and this is one of the best. Rated 5 out of 5 by katerobin from Hope start of a series game Enjoyed the game very much. The graphics were very nice, any 'fuzziness' I found due to the shadow effect. Mini games: some were fairly easy, but some were very inventive and original. Enjoyed the story, and ended in a satisfying way. Just hope for more, it has promise for further adventure. Rated 5 out of 5 by TimeKilla from Fantastic! It's so nice to have an SE that's better than most CE's lately. This game is a near-perfect HOPA. The pacing is excellent - not too many H0's, plenty of puzzles, and a several different side-stories that unfold throughout. There is some back-tracking but it is only excessive if you've overlooked something and a quick travel map takes away most frustration. Best of all, there is a range of challenge. There are very tricky puzzles and very simple ones (although the simple ones are usually connected to a more complex task.) many of the puzzles are unique and rely on logic more than just flipping levers or sliding boxes. Inventory items make sense without being too obvious. H0 scenes are challenging but there are not too many of them and they very rarely repeat, so they aren't boring. It's also very long. I played on hard mode with no hints or walk-through. The game took me nearly eight hours over three days. (YMMV) I was stuck a few times but a careful review of the environment would sort it out. After the last Surface game, I was ready to give up on HOPA's all together. This game made me glad that I didn't. Rated 5 out of 5 by stollies1 from This game is not for the beginner I love this game. It is very challenging and the variety of puzzles are very refreshing. There are some beautiful graphics in this game and I love no voice overs, they're way too annoying. If you cant play on hard, this game is not for you. If you love challenge, buy it! Rated 5 out of 5 by jjones4619 from Charming game I love this kind of quirky game--no HO scenes to slow things down. Imaginative and beautiful puzzles. Rated 5 out of 5 by awvines from Just might be the best game of the year! My favorite game in quite a long time. The length is worthy of a CD, the hint system gives good guidance without unnecessary hand holding, the puzzles are a mix of old friends and new, many with a twist. I love that each chapter was as equally complex as the previous one. The graphics are lovely and clear, the HOS are well composed, partially interactive, and don't dominate the game play. An excellent offering by a trusted developer! Rated 5 out of 5 by truman99 from WONDERFUL and LONG ADVENTURE GAME! WOW...I just finished playing this entire game, and it was wonderful! I was so excited that the standard edition came out first, and boy, do you get your money's worth! 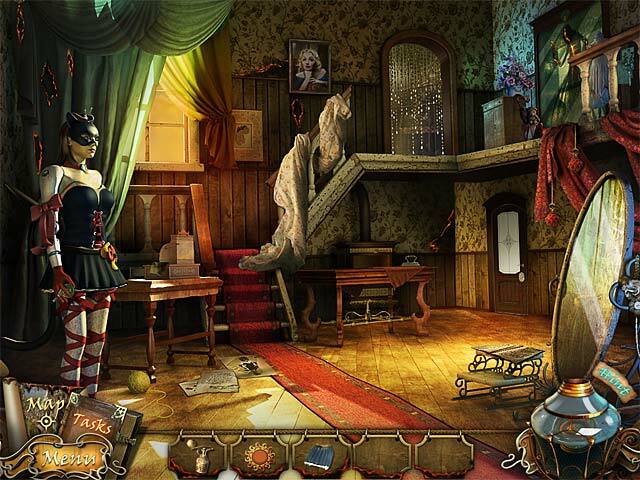 The graphics are EXCELLENT and the hidden object scenes are beautiful. There aren't actually many HO scenes, this is mainly an adventure/puzzle game. The hint button fills quickly. I admit, the puzzles were a bit hard for me, but thank goodness the SKIP button was fast. The storyline was great, I hardly ever knew what was going to happen next. Do yourself a favor and at least give the game a trial try !!! Rated 5 out of 5 by mrcr from MCF a very good game and I surely recommend it. Loved the story and hint button was enough for my needs. Rated 5 out of 5 by krinneyd from This is a quality entertainment gem! Excellent graphics, great story line, a visual delight! Lots of interactive game play with a mixture of HO's that were just right in difficulty....was entertained the entire time! In fact, didn't want the game to end. This is exactly what I look for in an Adventure/Hidden Object Game! The hint button was perfect ....gave just enough info to make the game a little challenging, adding to the entertainment value. This one I will play again! One VERY SATISFIED CUSTOMER! thank you BF! Rated 5 out of 5 by amysammie1 from VERY good game, and VERY addictive. Okay, the story might be a LITTLE hard to follow, but the game is STILL a great game. You can still figure out what's going on as you play the game more and more. And I loved that there are SO many people that you have to help in order to get to the end. Most games I've played, only give you a few people to do stuff to, to get to the end. But this one, had SO many. And the hint button charged really fast (if you click to play the easier challenge). Anyways, this is DEFINITELY a game worth getting. The ending leaves you to suspect that they're going to come out with a sequel, because the main character says at the end, that she's being called for help from someone else. They had BETTER come out with sequels to this game. Because I'll be SO mad if they don't, and SOON. I intend to buy the sequels if they come out with them. Rated 5 out of 5 by Monia4Cats from Challenging & Fun A challenging and fun game. Clear graphics that fill my 22" screen. No technical issues. Engaging story and I am happy there are no voice overs! Not too easy and the hints are helpful but not spoilers. Enjoying playing it. Rated 5 out of 5 by handyfr from Loved it! I liked this game a lot. No 'voiced' dialogues which drives me nuts. Help button was 'just enough' to point me in the right area. You have to put your thinking cap on for this one so if you're a player who likes your hand being held the entire time, don't bother with this one. Definate buy for me! 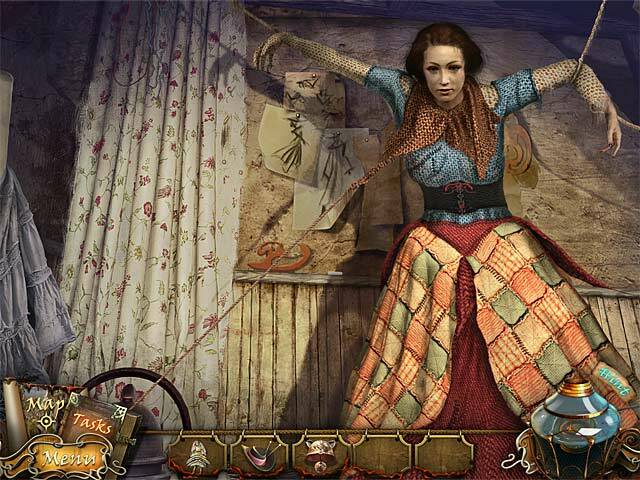 Rated 5 out of 5 by rosie28sammy from Excellent Interactive Hidden Object Game Wonderful game with an interesting storyline. The graphics are excellent and the music is peaceful. The gameplay flows well. Hint system is excellent. You do have to think, but that makes the game that much more enjoyable. There is an interactive map that allows you to move from one scene to another easily. Different game modes are available to player of any skill level. Not the same old hidden object game. Definitely worth a demo and the price of a standard game. Thanks BF for this gem! Rated 5 out of 5 by Torpedo1 from Not What I Expected I read the revieww and thought uh oh a game with a poor hint button. It worked out just fine. The hint button indicated the area I could work on when I had the item available to connect it with. The game was very busy and I do not mind a full items bar. I like how I had to open something to get to a HO scene and the puzzles were cute. I will be buying this game. The graphics were great. I hope the Collectors addition allows the people to be heard when they talk. The sentences read a little to quick on one or two areas where I had no control of how long to read. Also a journal is handy at times though I rarely use them. The map was okay and the task menu was good to have on hand. Beautiful, fun game. Rated 5 out of 5 by thistle809 from Imaginative, engrossing, fun Having played the demo, I immediately purchased. This is one of those exquisite little gems that Felix quietly drops into the pond on occasion. The developers put a lot of time and effort into this. The graphics are lovely and crisp, the mini-games will "agitate the little gray cells" (they can be skipped), there is an interactive map, three difficulty levels to choose from, a task list in the lower left corner, and a hint system that comes in very handy. There are no voice overs; but if we had those, it would probably have been presented as a CE. You can adjust the music (it is quite nice), the effects and environment volumes. The mini-games all have clear instructions (just click the "Help" button in the lower right corner). When you are in a regular location (not HOS), the Hint button will tell you if you have something to do; and put a circle around the spot. The dialogue is kept to the level of just enough to help you understand what is going on, but can be skipped. The hour for the demo slipped by very quickly because you will find yourself caught up as soon as you accomplish your first small task. I scrolled through the walkthrough when I finished the demo, and there will probably be about another five hours play for me. (I did not skip any mini-games.) Thanks to Vogat for developing a beautiful game, and to Felix for bringing it to us fishies. Rated 5 out of 5 by nomoxxie from Bought after 30 Minutes Thank goodness, the cut scenes are not those overdeveloped interruptions currently in vogue that do little more than stop the action and interfere with the game play. Another plus, no voice overs so the readable bits can be clicked through at your own pace. Lots to do and much of it different (in fact, I used the hint button--which refills quickly--quite a lot in the beginning just to get a feel for how the game was played.) Best of all, it's not a "Collector's Edition" which means you don't have to waste space on stuff I suspect a lot of players never use. Great fun so far, and I expect it will only get better. Rated 5 out of 5 by truD1234 from Love it! First game I've brought in a while as nothing has caught my attention lately, started playing, is fairly hard at first to work out the puzzles (played medium) and this game doesn't lead you by the hand you have to figure it out for yourself, but I like a game that makes you think, not many HO's and they are fairly easy. Not much blah blah you just get on with the game. All in all I would recommend this game. Rated 4 out of 5 by sandrah212 from Must-have for IHOG players! *Review of completed game* This is definitely a must-have for IHOG players! 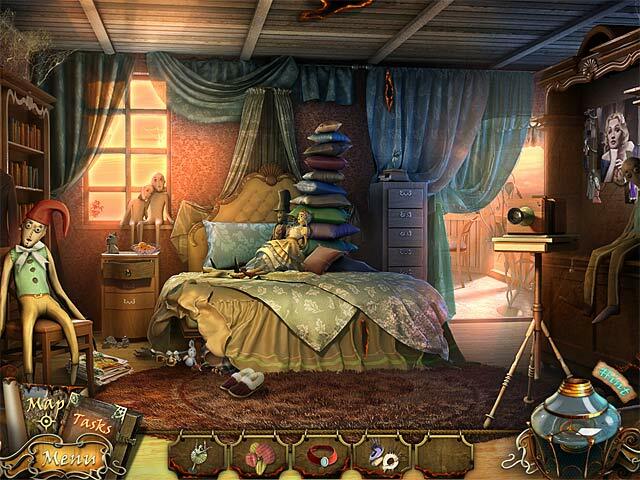 Good story, relaxing hidden object scenes, many different puzzles that are challenging, but solvable. Good length, too. Playing never became a "task"; there was always something new to discover! My only caveat is that the game didn't play all that smoothly on my (new!) computer. Cursor navigation was a bit clunky. Also, there were a few spelling/grammatical errors that could've easily been prevented! I didn't use the offered task list too much because for me, it was useless - too crowded with tasks that could only be completed at a later time, too confusing. The map was pretty, but not helpful, either, since you always stay in the same handful of scenes during one chapter and aren't required to backtrack to different regions. But overall, this is a game I will definitely replay and I recommend it to everyone who enjoys this genre!